Caminar repairs bikes for homeless at "Project Homeless Connect"
It is with great pride that Caminar in Butte County participated in April's "Project Homeless Connect." Close to 700 Butte County residents (the majority homeless) attended the event and were given access to food, water, clothing and showers, as well as health screenings, pet care, identification cards and bike repair. Caminar's Sensible Cyclery was on hand and repaired more than 40 bicycles. Information and services for housing, employment, public services, health care, addiction treatment, legal services, contraceptive services and children’s services were also provided. Caminar’s Sensible Cyclery vocational program participants Nate Russell and April Grous stayed active across the way, repairing bicycles for free all day. 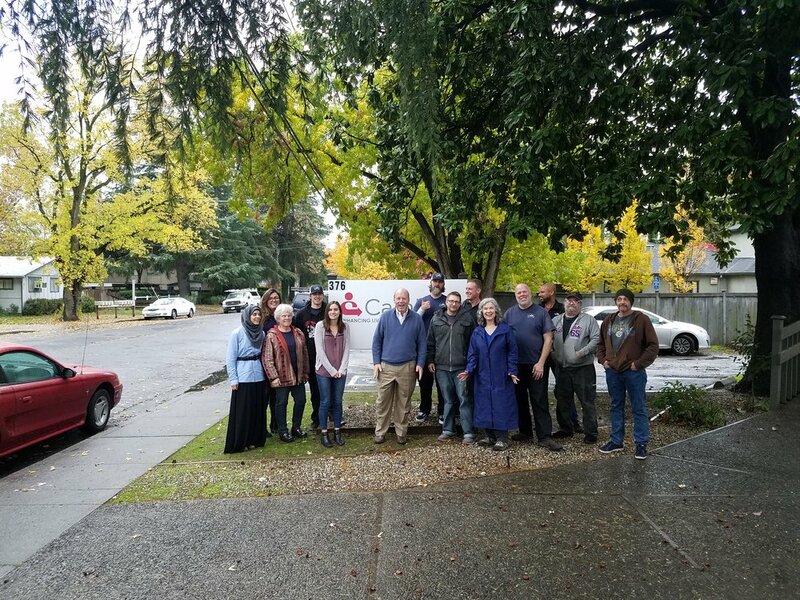 Caminar's Butte office was in the news earlier this year with a feature piece on the amazing garden on site at Avenidas Apartment. To read that article, click here.